You would have had to be living on the moon to have escaped the buzz around Eleanor Oliphant is Completely Fine by Gail Honeyman, so I decided to check it out of my local library to see what all the fuss was about. Wow! Just wow! I picked it up one night for just a sneaky peek and loved it immediately. If I hadn't had to go to work, I would have definitely read this in one sitting but had to settle for reading it over a few days. Once Eleanor got into my head she instantly had a place in my heart and I couldn't wait to hear how her story ends...or begins. 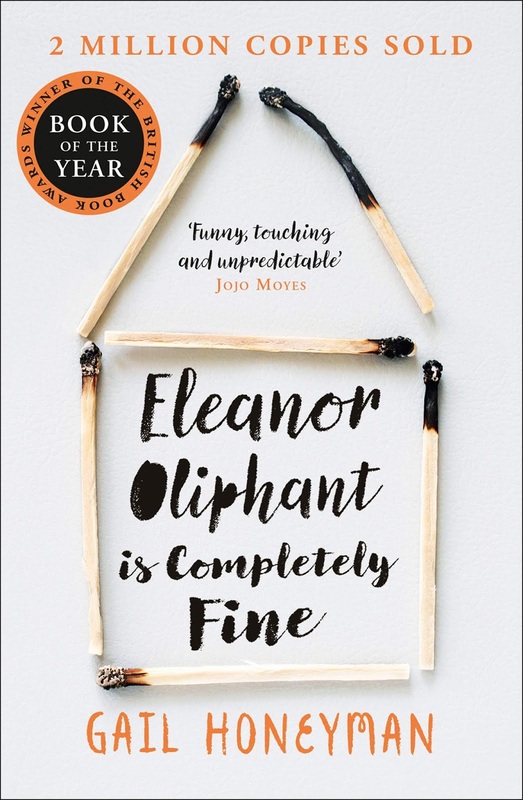 I'm a bookworm and the complete opposite of a social butterfly so I recognised a little too much of myself in Eleanor; I could empathise with her social faux pas and complete innocence that was heartbreaking at times. It was like Eleanor could see inside my head and I don't want to share any of the hilarious moments but I hate eating in public, shudder when people talk while they're eating and I also have my own mug and spoon at work. In fact, somebody once used my mug so I threw it out; that was labelled as a bit extreme by one of my co-workers but I'm sure Eleanor would have done the exact same thing. Eleanor has grown up without her mother but they still have such a toxic relationship; I know mothers can be cutting at times with their truthfulness but this is like hearing the worst things you think about yourself being spoken aloud. I could feel my anger bubbling under the surface at times as I willed Eleanor to stop listening to this awful woman. We're all guilty of answering the 'How are you?' question with a 'Fine'. Why do we do that? Is it because the person asking the question isn't really asking how you are? They don't really want to listen to your problems or achievements? Or sometimes they would be willing to listen but we don't want to tell them? Scratch the surface beneath the armour plated 'fine' layer and you will see the real person underneath, warts and all, which is what we did with Eleanor. These days, loneliness is the new cancer - a shameful, embarrassing thing, brought upon yourself in some obscure way. A fearful, incurable thing, so horrifying that you dare not mention it; other people don't want to hear the word spoken aloud for fear that they too might be afflicted, or that it might tempt fate into visiting a similar horror upon them. Let's fight loneliness together! It's a fight we can win. 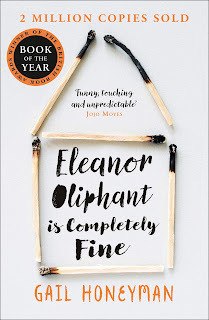 Eleanor Oliphant is Completely Fine is an OUTSTANDING book! My biggest mistake of the year is taking so long to read it; so if you haven't picked it up yet, don't make the same mistake as me. You need Eleanor in your life right now! This is one of those books where a five star rating just doesn't seem quite enough; I feel like I need to add a distinction to the five stars to show just how completely awesome it is.